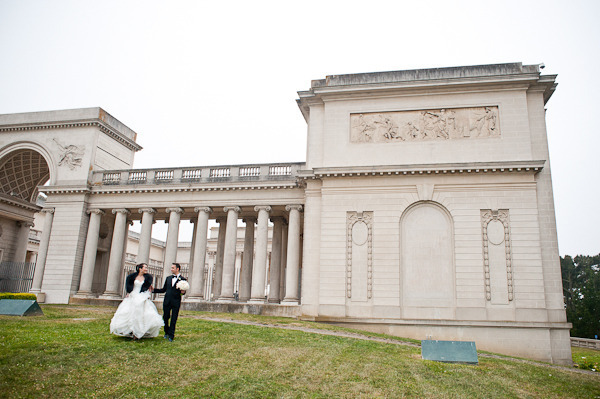 Legion of Honor We have been featured again on one of our favorite wedding blogs, Style Me Pretty! 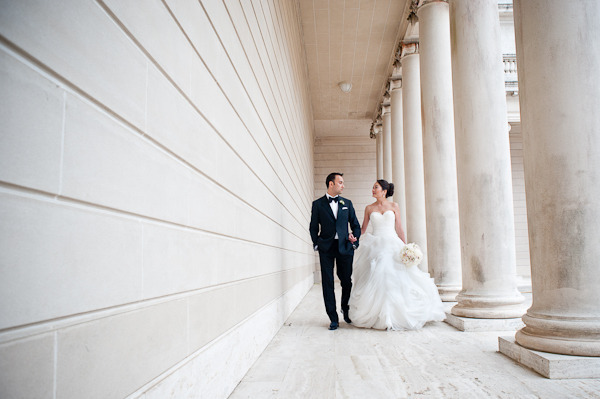 Such a wonderful couple to work with and we’re so happy their stunning wedding has been featured. 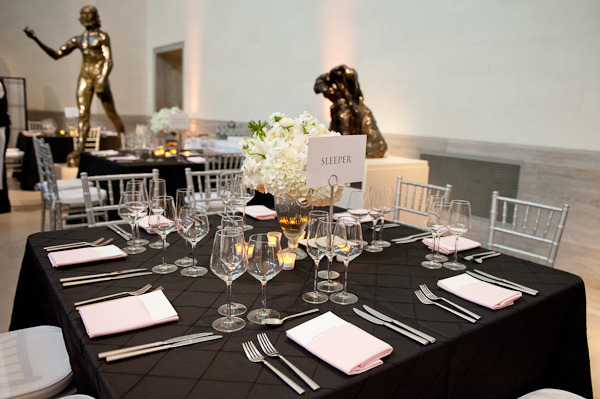 Their catering menu featured some of our personal favorite dishes including the Inside-Out “BLT” and Spiced Apple Chip hors d’oeuvres with the the Roasted Gold Beet, Burrata and Arugula Salad as their first course. Their guests enjoyed their entree selection of Chardonnay Wood-Smoked Angus Beef Short Rib or Forest Mushroom Crusted Mahi Mahi. The vegetarians in the crowd noshed on Sunchoke, Salsify and Fresh Cepe Risotto. Enjoy pictures from their wedding below! 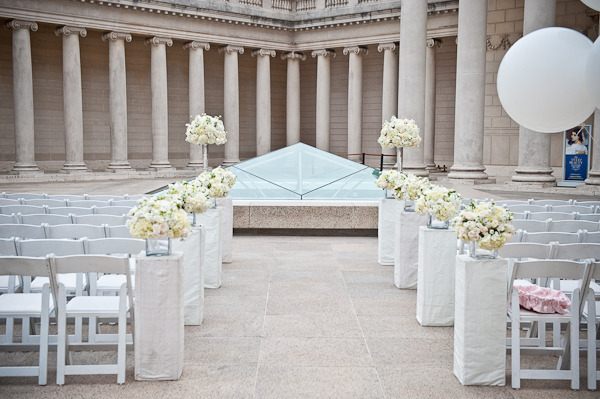 We adore the over-sized white balloons they used to add a touch of fun to the ceremony site. Notice the subtle, light pink napkins? It added a soft touch to the very structural gallery at the Legion of Honor. 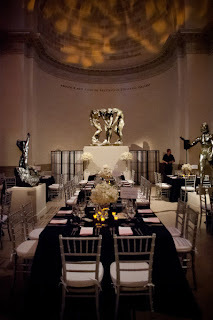 One thing we loved was their use of black pintuck linens with square tables and plates. It tied in beautifully with their invitation suite, which they had already done before their design meeting with us. 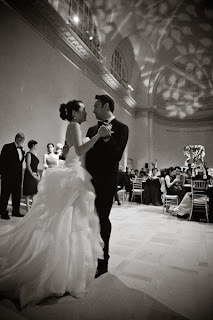 Here’s to a lifetime of happiness to another Global Gourmet couple! Click here to look a the full gallery.